From its establishment as a one man start up in London, Global Strategies Group (‘GLOBAL’) quickly grew from a strategic risk consultancy for government and commercial organisations, to providing a comprehensive range of strategic and operational support in challenging environments, including physical security services, training and capacity building, aviation security and complex logistics. After the attacks of September 11, 2001, GLOBAL was one of the very first organisations to enter Afghanistan, in November of that year. GLOBAL established the first non-military air service in to the country, enabling the company to expand its capabilities and undertake many critical defence, diplomacy and development programmes in support of the international community and the Afghan population and economy. 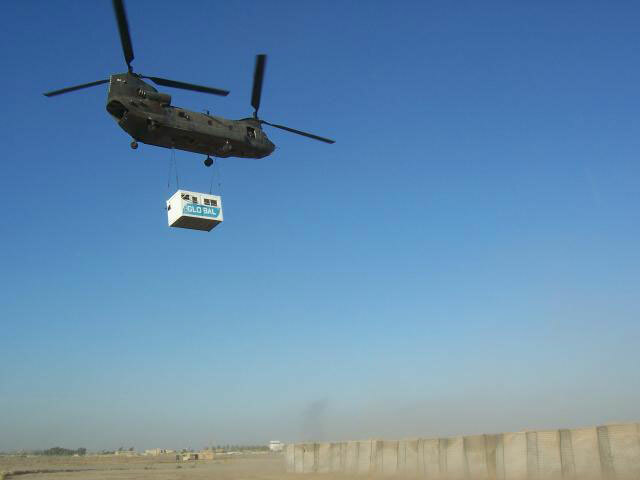 Amongst the early projects was a secure logistics operation to transport cash for the UN by air between Pakistan and Afghanistan. Given the large sums involved, GLOBAL designed a pioneering Lloyds of London backed insurance ‘wrap’ product for the contract, an innovation which later formed a valuable service to many other clients. These early successes provided a foundation for the company’s significant and long-term presence in Afghanistan and the region, that also included organising the first rounds of Parliamentary and Presidential elections, conducting a nationwide census and voter registration, running counter narcotics and alternative livelihood programmes, conducting police training, supporting regional intelligence gathering and counter terrorism, securing Kabul and Kandahar Airports, and a wide range of diplomatic security projects. As GLOBAL consolidated its presence in the region, it was brought in to the process of establishing the first ever elected Afghan government and played a key role in the foundation of the country’s new monetary system. 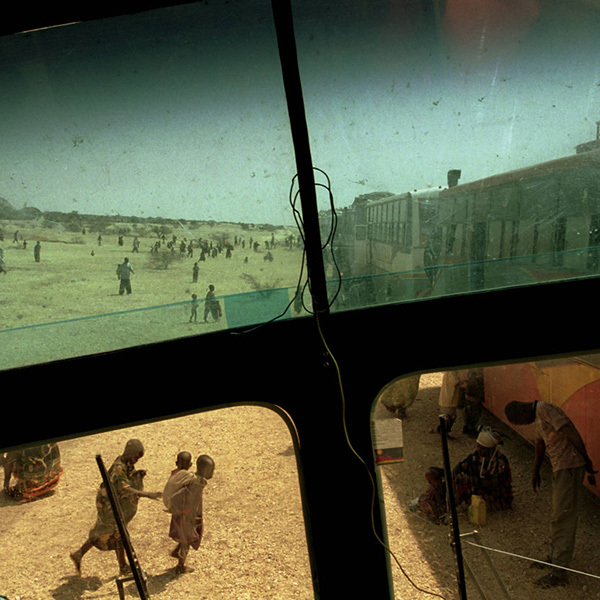 As a key player in complex post-conflict environments, GLOBAL was tasked to expand its operation into Iraq. 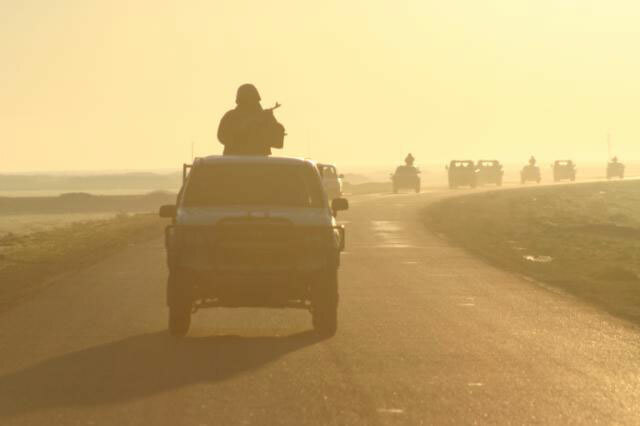 In March 2003 GLOBAL co-ordinated and lead the secure movement of the post Saddam government administration – the Office for Reconstruction and Humanitarian Assistance (later the ‘Coalition Provisional Authority’) from Kuwait to Baghdad, including responsibility for the protection of CPA leadership. GLOBAL also worked closely with the US Government to establish and secure the Greenzone in Baghdad, and nine other secure CPA locations around the country. Subsequently, GLOBAL undertook a wide number of ground-breaking security programmes including; designing and implementing the secure delivery of the new Iraqi currency to more than 250 locations across the country; managing complex aviation security operations at Baghdad, Mosul and Najaf Airports; running vital supply missions to regional cities; establishing new procedures for the inter-operation of government and private security organisations; and securing a wide variety of critical infrastructure and high risk facilities nationwide. The company continued to develop rapidly, expanding in to a Group structure with business worldwide, opening regional commercial offices in more than a dozen cities – including Washington, Dubai, Abu Dhabi, Tokyo, Hong Kong and Singapore. The operational footprint also expanded to include much of Africa, Middle East and Latin America. GLOBAL always applied an innovative, ‘solutions based’ approach, and increasingly integrated technology in to its capabilities, to mitigate complex risks. This was a key element of the Group strategy to expand in to new areas of the Government mission, to increase profile and capabilities and, by accessing greater long term defence and national security opportunities, to create a more diversified and sustainable business model. This expansion and diversification strategy saw the establishment of a technology division in the Group through which, in February 2007, GLOBAL completed the acquisition of the US systems engineering and intelligence analysis businesses – SFA Inc. and The Analysis Corporation. This major initiative, entirely financed by GLOBAL re-investing its earnings, immediately gave the Group new higher value capabilities and qualifications, and access to new customers, programmes and funding streams. Having completed the outright acquisitions of SFA and TAC, GLOBAL rebranded them as Global Defense Technology & Systems (GTEC) and began to re-organise and transform the two businesses while creating operational and commercial synergies across the entire Group. By improving strategy, best practices and driving business development, GTEC increased revenue and profitability and enhanced its mission critical counter-terrorism, intelligence, systems engineering and force mobility capabilities. 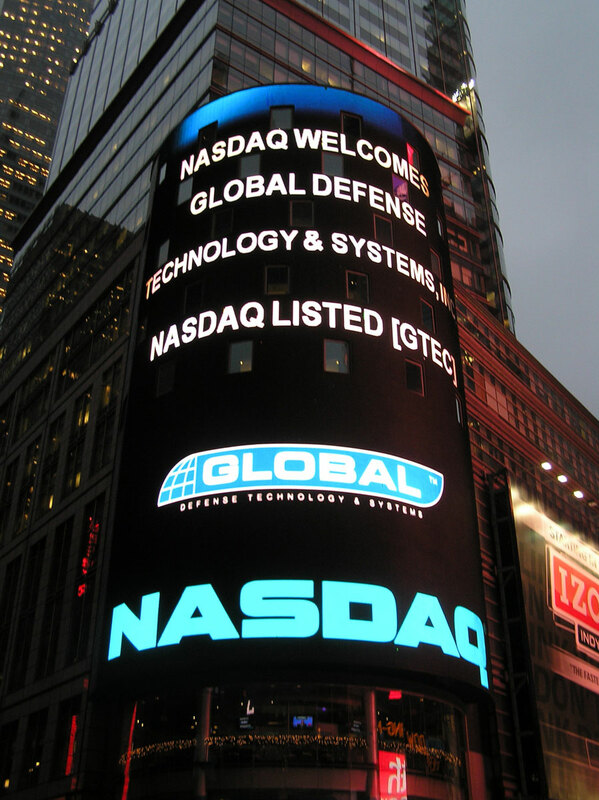 This accelerated growth, achieved when much of the rest of the defence sector was declining, allowed GLOBAL to take GTEC public with an IPO on NASDAQ in November 2009. During the following two years, GLOBAL continued to drive GTEC expansion in the US defence technology and intelligence markets, including acquiring two more companies specialising in cyber security and software engineering. By this point GLOBAL was a truly worldwide enterprise, with its technology and services divisions employing approximately five thousand highly capable people in a range of national security related roles. The Group was making a positive difference to the lives of millions of people. While technology had become the focus, the Group’s services division continued to grow, evolving new offerings and expanding in to new geographies on major US Government and other related programmes. Also in 2011, GLOBAL gained an exceptional return on investment in the technology division when it sold GTEC to a private equity group, thus adding to its already strong balance sheet and enabling further investment opportunities across the Group. Following the sale of GTEC, GLOBAL embarked on a major new investment initiative to complete the evolution from a services-based business to one operating at the technological cutting edge of defence and national security. 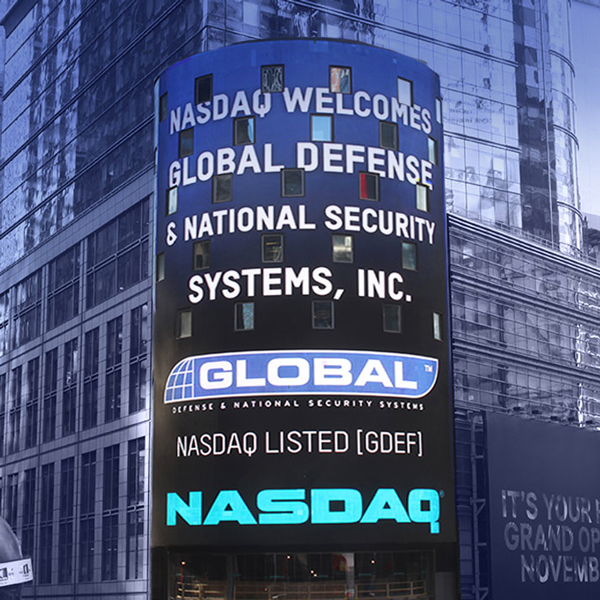 GLOBAL established a special purpose acquisition company – Global Defense & National Security Systems, Inc. (GDEF) – which it then took public on NASDAQ with another IPO, in order to make investments in technology companies designing next generation software and systems in cyber security, data management and analytics, and C4ISR. As the sponsor and key stakeholder in GDEF, the aim for GLOBAL was to once again leverage its experience as an operator and investor in the defence sector to buy, transform, build and sell cutting edge defence sector companies, accelerating their business growth through access to extensive GLOBAL networks, strategic expertise, business development and management best practices. As a sector leader in national security, and in line with its technology driven strategy, GLOBAL also contributed to Government policy debate on the importance of technology superiority in addressing increasingly complex security threats. GLOBAL achieved another milestone in June 2015 by successfully completing the first ever US defence sector ‘SPAC’, with the transaction by GDEF to acquire and then merge in to a cyber security, software and intelligence solutions provider to US government agencies. The Group’s investment in cutting edge technology was not just confined to the US public market. GLOBAL also made focussed investments in niche capabilities, such as biometrics, to then bring these capabilities to new national security customers. As a strategic investor, GLOBAL was also invited to inform the debate on enhancing national security through new industry investment models. The Group lead a landmark report from RUSI, the foremost UK national security think tank, which developed a future R&D roadmap for the UK defence sector. These successful initiatives led to the GLOBAL CEO being named as one of the “top executives to watch” in the US defence sector. From establishment as a one man start up in 1998, through its development and growth during a continuous period of intense and systemic worldwide change, Global Strategies Group created an extraordinary record of unmatched achievement and success. Since 2016, GLOBAL has been part of the Damazein Group, a private wealth management company, as a key element in their investment strategy to help address the essential work and life needs of the 21st century. © Global Strategies Group 2018 | Credits. Privacy and Cookies Policy. Damian Perl is managing partner of Damazein, a private wealth management organisation. He leads investment strategy, oversees portfolio performance and manages key stakeholder relationships. Damian also directs M&A and fund raising activity, accessing both private and public capital markets. He has led two highly successful IPOs on the NASDAQ: GTEC in 2009, and GDEF in 2013 where he was Chairman of the Board. Prior to this, Damian was the founder and Chief Executive Officer of Global Strategies Group, a technology and services business that served the defence and intelligence communities. From a one man consultancy in 1998, he led every phase of its development and growth in to a worldwide national security enterprise that employed several thousand people. Damian previously served in the UK military and holds a degree in physiology and biomechanics. 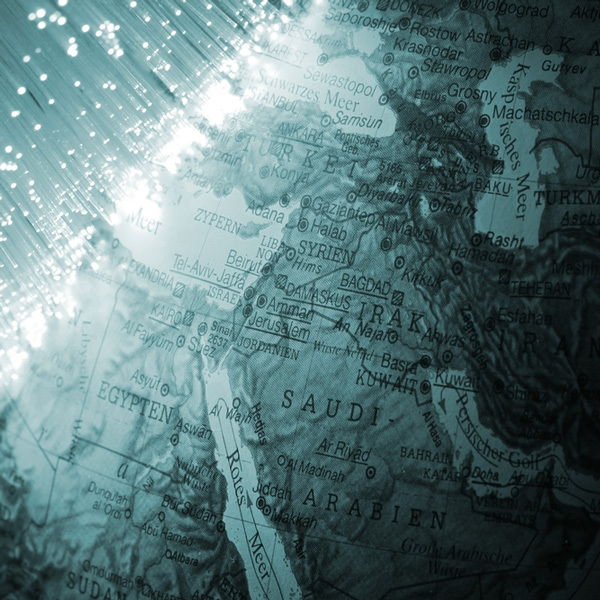 GLOBAL has recently supported an important piece of work from RUSI, the leading national security think tank, into how the UK Government can sustain research & development (R&D) and investment in critical national security and intelligence capabilities. This work takes place in the highly challenging context of the Government facing a growing number of technically advanced threats, from States, terrorist organisations and asymmetric adversaries while, at the same time, pressure on the public purse remains strong. As an active and experienced investor and operator in defence and national security, we at GLOBAL are constantly seeking ways to achieve greater private investment in to the ingenious enterprises developing critical technologies to help counter these threats. Our track record as an investor has been forged in both the US and the UK and given the importance of the transatlantic political relationship, we have a keen interest in capabilities being developed by companies on both sides of the ‘pond’. We recognise the challenges of a Government sustaining R&D and innovation at a time of intense budgetary pressures. This prompted our thinking about whether the ‘innovation ecosystem’, as RUSI calls it, could do more to collaborate, so ensuring that critical capabilities are developed and sustained in the national interest. In this context, the ‘ecosystem’ means government, business, both as developers and, increasingly, users of key capabilities, research and policy institutions and, importantly, investors. It is this latter group that are perhaps not as integrated in to that community as they could be. Stimulating greater understanding amongst key investors about government requirements and those that exist in important commercial markets – for example among operators of critical national infrastructure. Enabling investors experienced in national security markets to engage more effectively with potential co-investors who are not familiar with the sector, or who are discouraged by its complexity. Improving awareness in government and amongst commercial customers of those enterprises developing the most critical capabilities relevant to security and intelligence. Encouraging many of those same companies to better understand what can be done in the field of national security, helping them overcome the complexities inherent in the sector. The UK Government is making significant strides to this end, particularly in engaging with business, for example through the Security Innovation Demonstration Centre, the Centre for Defence Enterprise, the work of Innovate UK and the Catapults, among others. These are a vital part of the ‘ecosystem’ and will help to overcome barriers to R&D collaboration. We should build on these initiatives in ways that stimulate greater private sector investment and helps sustain R&D. Incentives are a key factor here – what drives investment and why – and that’s clearly a two way street. Investors – whether sector specialists or not – need to see a clear return on their investment, and government and other clients need to see value for money – it’s where these two points meet that requires focus. Encourage an earlier articulation of requirements to improve collaboration in the development process. Create new R&D business practices, with better coordination, planning and metrics for evaluating R&D investment. 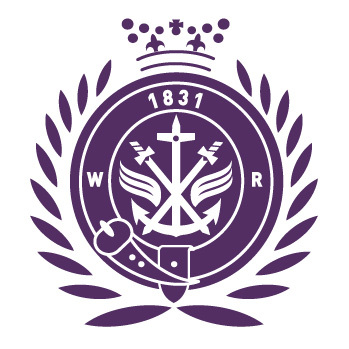 In developing our thinking around this, and working together with RUSI as well as other key stakeholders, we hope to stimulate collaboration and bring new growth capital to this dynamic and challenging space. 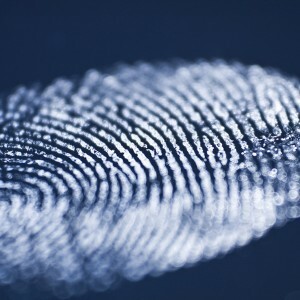 Fingerprint analysis, often critical to successful national security operations, is labour intensive, with large sources of data either uncollected or unusable. GLOBAL is working on the ‘big data’ need for automated tools capable of collecting and analysing all available hand-related data from multiple sources. 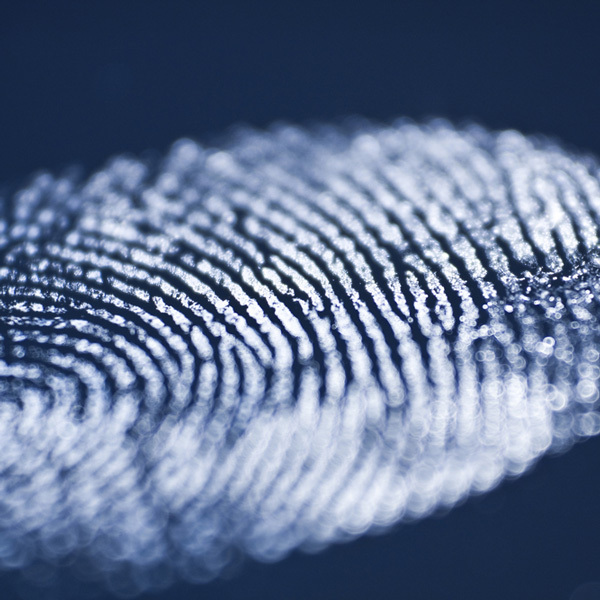 GLOBAL, together with Sciometrics, our partners in biometric technology, is developing cutting edge capabilities that “raise the bar” in biometrics and are being deployed by national security agencies. These technologies are enhancing accurate data capture, boosting data processing and matching, and vastly improving the ability to make positive identifications from low quality prints and print fragments. Taken together, they enable significant advances in criminal investigations and security operations, particularly when there are large volumes of data to be analysed. Critically, they allow previously uncollected or unreadable data to be used, significantly improving the chances of identifying, arresting and prosecuting suspects. The United States and its allies face severe and disparate threats that place growing demands on US military and intelligence capabilities. Meeting these demands means that the United States must build and sustain “knowledge superiority” by exploiting the latest and best information technology. This is essential to thwart attempts by ISIS to use the Internet to recruit, plan, and direct attacks or Russian efforts to manipulate neighbors with cyber attacks and propaganda. If China becomes an adversary, it must be left in no doubt of US supremacy in sensors, communications, command and control in the event of confrontation or conflict. Fortunately, the United States is the world leader in information technology – inventing, applying, and relentlessly refreshing it. What began as a US-led digital revolution has become a knowledge revolution, with the US advancing in pole position. Thus, the very technology that is so vital in meeting threats to is one in which the United States has an inherent advantage. But here’s the rub. Though IT has clearly improved US intelligence and military capabilities thus far, we can do much better. There are major, stubborn impediments in translating this technology’s dynamic power, rapidly and economically, into capabilities for national security. Consequently, US forces lag the American economy and society as a whole in receiving and using the best, most innovative, most useful, and increasingly affordable IT products and services. Reports that floppy disks are still used in critical US command and control systems are chilling. The key challenge lies in how the US Government buys equipment and services. Rapid progress needs to be made to bring the Government across the “digital divide” that separates it from the rest of America and ensure that US forces realize the full potential of revolutionary leaps in information technology, thus maximizing knowledge superiority. The problem has two parts: a clunky acquisition system and a heavily concentrated defense industry. Acquisition reform must be sweeping, as the rules governing the procurement of ships and planes are anathema to buying information systems and services. But it will take years to overcome political resistance and bureaucratic inertia. What of the industry itself? The big systems integrators play a vital role in building traditional platforms – such as ships and planes — their role and position needs to be balanced with the need for the national security community to acquire IT quickly, continuously, and economically. US intelligence agencies have made more headway than military forces in acquiring IT precisely because they have more flexible acquisition regulations. This problem is well understood by Pentagon leaders. They are reaching out to “Silicon Valley.” But many companies in that community are reluctant to try to do business within a Government acquisition system that is alien to their culture, business models and shareholders. What is needed, then, is a new breed of IT companies to enhance the knowledge superiority of US military forces and intelligence agencies — companies that bridge the gulf between national security demand and IT supply. Typically, these would be small-to-medium in size, flat in structure, a bit eccentric in culture, and able to recruit, retain, and challenge the sorts of individuals who have been drawn to Google, not Government. 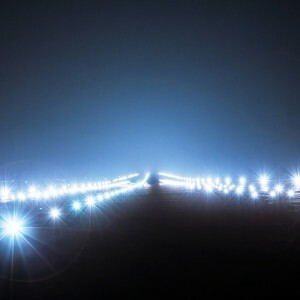 They must be as knowledgeable in military and intelligence missions as they are in how the next big idea from IT might help meet those missions. If such firms are simply relegated to being subcontractors to “systems integrators,” the opportunity for military and intelligence customers to maximize the value of their agility and creativity will be diminished. That said, work will not simply be handed to new breed companies. They must earn business by enabling military forces and intelligences services to create and maintain unrivalled and decisive knowledge superiority. The Hon. David C. Gompert was Principal Deputy Director of National Intelligence, then Acting Director of National Intelligence, between 2009-11. 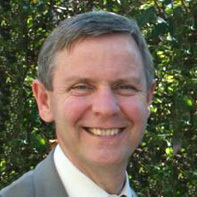 He has served as a board member of a number of GLOBAL companies. Mr. Gompert contributed this piece in a personal capacity, and the views expressed here are his own. 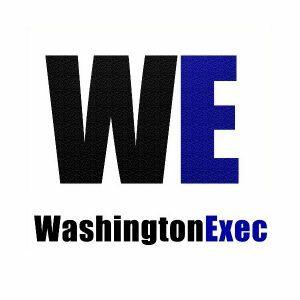 Damian Perl, Chairman and CEO of Global Strategies Group, has been named as one of WashingtonExec’s ‘Top 30 Execs to Watch for 2016 in the government contracting space. Damian was named for having built a “one-man company into a global enterprise” as a leading operator and investor in the national security technology sector. The citation also highlights some of the successful investments he has undertaken, including Global Defense Technology & Systems Inc. (GTEC), and most recently the 2015 acquisition of STG Inc. through Global Defense & National Security Systems Inc. (GDEF), the public company established by GLOBAL in 2013. 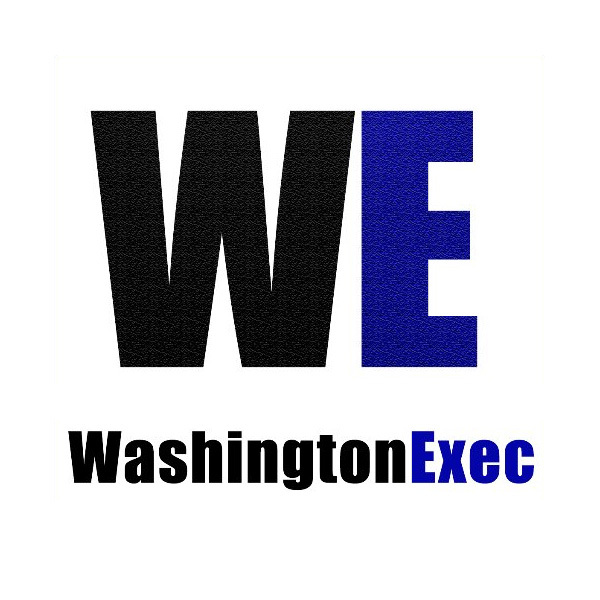 Referring to Damian’s most recent investment, WashingtonExec concludes: “Our bet’s on STG – and more smart acquisitions ahead – under Perl’s GDEF chairmanship”. For the full citation, click here. RESTON, Va., June 9, 2015 – Global Defense & National Security Systems Inc. (NASDAQ: GDEF) (“GDEF”), a special purpose acquisition company focused on the US defense and national security sector, and privately-held STG Group, Inc. (“STG”), a leading provider of cyber, software and intelligence solutions to the US government, today announced that they have entered into a definitive agreement to form a strategic business combination (the “combination”). The combination, with an approximate value of USD165.5m through a cash and stock transaction, is expected to provide STG with capabilities and capital in order to pursue growth opportunities. STG is a specialist provider supporting more than 50 US federal agencies. It operates across three key segments: cybersecurity and secure information systems; software development, systems and services; and intelligence and analytics. GDEF was established by the leadership of Global Strategies Group, the international defense and national security company, and completed its initial public offering in October 2013 with the strategy to build a mission focused mid-tier technology provider. The combination is expected to create significant opportunities for growth by combining STG’s broad client base and significant differentiated capabilities with GDEF’s extensive network of government and industry relationships and business best practices. The combined entity intends to pursue acquisitions of innovative mission-critical companies to enhance and complement STG’s current capability and serve a large addressable market. GDEF and STG believe that the combination will enable STG to increase its skills base and broaden its solution offerings to more clients, with renewed focus on a smart strategy to develop differentiated capabilities aligned to national defense and intelligence priorities. Significant opportunities exist for STG’s differentiated capabilities to be marketed and sold across adjacent clients in the defense, Federal Civilian, and intelligence communities. The combination of GDEF and STG is expected to enable the company to achieve stronger organic growth through deeper and broader client relationships, continuous improvement in business practices and the accelerated development of new products, solutions and capabilities. The combination is expected to create a well-capitalized player in the US national security sector with the ability to accelerate growth through smart acquisitions, and plans to quickly build differentiated capabilities and new customers and contracts. The company intends to focus on complementary high-end, technology. Mr Lee will serve as Chairman of the Board of Directors; he will be joined on the Board by Damian Perl, current GDEF Chairman and the Chairman and CEO of Global Strategies Group; Hon. David Gompert, former Acting Director of National Intelligence; Hon. Ronald Spoehel, former CFO of NASA and ManTech; and Vice Admiral (rtd) Robert Murrett, former Director of the National Geospatial-Intelligence Agency. Paul Fernandes, STG President and Chief Operating Officer, will lead the combined company in these roles. The transaction is expected to close during Q3 2015 and is subject to approval by GDEF’s stockholders and other closing conditions. Cowen and Company, LLC is serving as exclusive financial advisor to GDEF on this transaction, and Morrison & Foerster LLP is serving as legal counsel. Holland and Knight, LLP is serving as legal counsel to STG on this transaction. STG, Inc. is a specialist provider of mission-critical technology, cyber and data solutions to more than 50 US Federal Agencies. Applying decades of experience, the company works to ensure the security of the digital domain, the effectiveness of complex IT systems and the delivery of quality intelligence to decision makers. STG is a Washington Technology Top 100 Company. This presentation contains forward-looking statements that involve risks and uncertainties concerning the proposed business combination between GDEF and STG, STG’s expected financial performance, as well as STG’s strategic and operational plans. Forward-looking statements relate to expectations, beliefs, projections, future plans and strategies, anticipated events or trends and similar expressions concerning matters that are not historical facts. Terms such as “anticipate,” “believe,” “continue,” “could,” “estimate,” “expect,” “intend,” “may,” “might,” “plan,” “possible,” “potential,” “predict,” “should,” “would” and similar expressions may identify forward-looking statements, but the absence of these words does not mean that a statement is not forward-looking. Actual events or results may differ materially from those described in this written communication due to a number of risks and uncertainties. The potential risks and uncertainties include, among others, the possibility that the transaction will not close or that the closing may be delayed; the reaction of customers to the combination; general economic conditions; the possibility that GDEF may be unable to obtain stockholder approval as required for the transaction or that the other conditions to the closing of the transaction may not be satisfied; the transaction may involve unexpected costs, liabilities or delays; the outcome of any legal proceedings related to the transaction; the occurrence of any event, change or other circumstances that could give rise to the termination of the transaction agreement. In addition, please refer to the documents that GDEF file with the SEC on Forms 10-K, 10-Q and 8-K. The filings by GDEF identify and address other important factors that could cause its financial and operational results to differ materially from those contained in the forward-looking statements set forth in this written communication. GDEF is under no duty to update any of the forward-looking statements after the date of this written communication to conform to actual results. In connection with the proposed business combination between STG and GDEF pursuant to the terms of a Stock Purchase Agreement by and among STG, GDEF, Global Defense & National Security Holdings, LLC, and each of the stockholders listed thereto, GDEF will file a proxy statement with the Securities and Exchange Commission (the “SEC”). GDEF also intends to file a proxy statement with the SEC for a proposal to extend the date before which it must complete a business combination from July 24, 2015 to October 24, 2015 (the “Extension Proposal”). Investors are urged to read these proxy statements (including all amendments and supplements) because they will contain important information. Investors may obtain free copies of the proxy statements when they become available, as well as other filings containing information about GDEF, without charge, at the SEC’s Internet site (http://www.sec.gov). The definitive proxy statements will be mailed to stockholders of GDEF as of a record date to be established for voting upon the proposed combination and Extension Proposal, as applicable. These documents may also be obtained for free from GDEF’s Investor Relations web site (http://investor.gdef.com/) or by directing a request to GDEF at: Global Defense & National Security Systems, Inc., 11921 Freedom Drive, Suite 550, Two Fountain Square, Reston, VA 20190. I left home last week without my smart phone. It wasn’t long before I realised I’d struggle through the day without it. Access to mobile on-line services has become a mainstay of our daily activities. Whether we recognise it or not, we depend more and more on a resilient urban cyberspace infrastructure. We want cities that are not only habitable physically, but smart digitally. Cities are the engines of wealth generation, and they are growing in size and complexity. A century ago, 20% of us lived in urban areas. By 2010 over half the world’s population lived in cities. Some predict that will rise to 75% by 2050. Innovation delivers growth and cyberspace will be at the heart of much of it. A growing city will be a smart city. London is a good example. It already generates a third of UK GDP, and sustained growth will be dependent on it having a world-class digital infrastructure capable of many things. Cyberspace has huge potential to integrate the systems that ensure the availability of essential services and products upon which city life depends: power, transport, water, communications, banking, emergency services, food. Closer integration through data will make the city itself work better, optimise the use of its resources, and enable bespoke public services, to name but a few of the benefits. 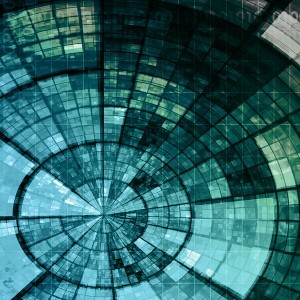 Cyberspace puts the ‘smart’ into cities and becomes a critical part of urban infrastructure. The state possesses unique powers to ensure we can go about our daily lives with peace of mind. 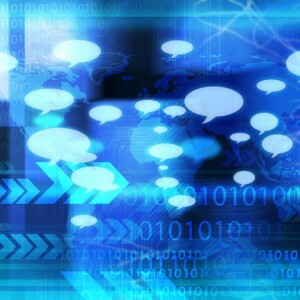 Communicating that will help to ensure public confidence that the cyberspace nervous system will continue to operate 24 hours a day, 7 days a week, safely and reliably. That is what national security delivers as the ‘enemy’ increasingly occupies this virtual world to penetrate systems and deny critical services. Yet the state does not own and operate all of this new cyberspace world – much of it is in the hands of the private sector. Given its growing role as the central nervous system of life in smart cities, it may be time to treat much more of cyberspace itself as a fully fledged member of critical national infrastructure. Doing so would boost efforts to ensure it is able to cope with a complex range of threats by tying it more closely to the services it underpins. Of course, this is not as simple as it sounds. Cyberspace has no clear perimeter. Building a wall to protect it is not an option. Extending resilience to cyberspace will require new and evolving forms of collaboration and cooperation between business, the state and civil society. Getting to grips with that challenge is the key to protecting our smart cities and helping them to grow and prosper in the 21st Century. Mike St John Green is an independent cyber security consultant. He previously worked in the UK Government’s Office of Cyber Security and Information Assurance on the National Cyber Security Strategy. Prior to that, he was Deputy Director of CESG, the Information Assurance arm of GCHQ. He has held a variety of engineering and science posts in GCHQ and MOD. Mr St John Green contributed this piece in a personal capacity, and the views expressed here are his own. The latest US Quadrennial Defense Review (QDR), published March 4, gives more substance to the much discussed ‘pivot to Asia’ in response to China’s increasing power. Along with that geo-strategic reorientation comes a renewal of the core belief that America’s military superiority rests on its unmatched technological prowess. Whatever terms are used, the “transformation” of US forces that began as the Cold War concluded, but took back seat to counterinsurgency in the decade following 9/11, is back on track. The case for this is strong. 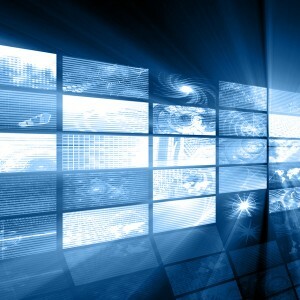 The revolution in information technology that first propelled transformation is, if anything, gaining speed. This offers the military potentially huge economies – until now exploited mainly in the private sector – thanks to great improvements in price-performance. With acquisition reform, declining technology costs can more than offset rising personnel costs, improving US defense economics on the whole. Moreover, the lives of platforms can be extended by modernizing their on-board systems instead of building new and more expensive hulls and airframes. First, fusing, processing and distributing the vast haul of data from US sensors to provide operational advantage is critical and feasible. To illustrate, as the United States relies more on rapid, short-warning deployment of compact expeditionary forces – and less on massive deployments – those units will need, and can have the benefit of, all relevant information in actionable form. Second, cyber operations are becoming integral to warfare. The Chinese regard the ability to attack networks on which US forces depend as an essential element of A2AD capability. Yet as their A2AD itself becomes more network-dependent, the Chinese will see that two can play at that game. The Pentagon will increase investment in both offensive and defensive cyber capabilities. Third, because the time, location, and demands of conflict are now so unpredictable, the challenge of supporting and sustaining US forces should not be underestimated. Advances in information technology can enable services to keep up with fast-moving missions, despite uncertainty. To ensure US military superiority, renewed commitment to technology is necessary but not sufficient. The payoff will depend on two other qualities: the boldness to embrace innovation and the quality of people. Fortunately, these are also abiding American advantages. 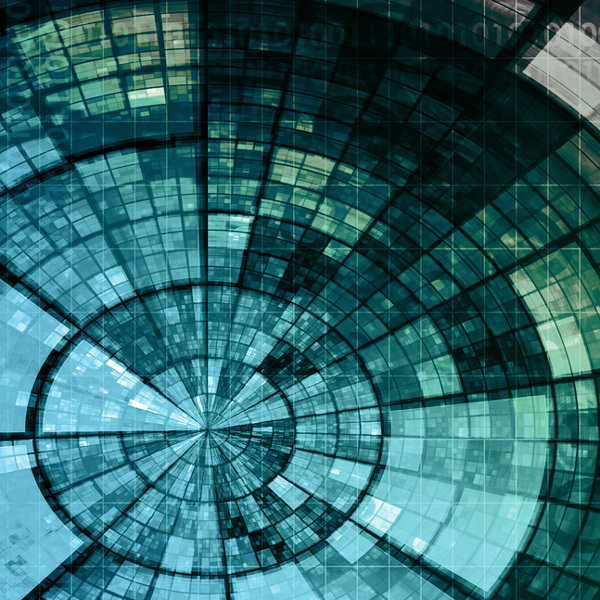 David Gompert, former Principal Deputy Director of National Intelligence, writes for GLOBAL on the renewed US focus on technological innovation in national security capabilities. The Hon. David C. Gompert was Principal Deputy Director of National Intelligence, then Acting Director of National Intelligence, between 2009-11. 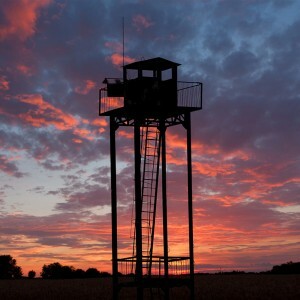 He is a Director of Global Defense and National Security Systems, Inc. Mr. Gompert contributed this piece in a personal capacity, and the views expressed here are his own. International defense company Global Strategies Group (GLOBAL) has embarked on a new initiative to build capability in leading edge US defense technologies. GLOBAL has worked at the center of US defense and national security objectives worldwide for 15 years. This latest initiative continues its strategy of building capabilities that address increasingly challenging and complex threats to national security. 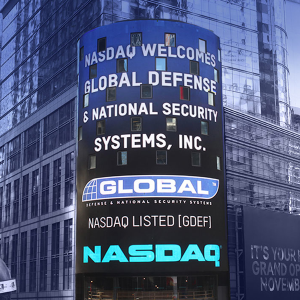 Following the 2011 sale of GTEC, its former defense technology business, GLOBAL has established a new public company to make further acquisitions in next generation technologies addressing evolving US defense and national security priorities. The new company – Global Defense & National Security Systems, Inc. (NASDAQ: GDEF) – listed on NASDAQ in late October. GDEF will focus on acquiring companies designing software and systems for cyber security, data management and analysis and key, mission-focused C4ISR. As the key stakeholder in GDEF, GLOBAL and its senior team can leverage decades of combined experience as an operator, investor and mentor in the defense sector, and working at senior levels with the US government. GDEF will bring this experience to portfolio companies, enabling business growth through access to its extensive networks, expertise in business development and management best practices. The GDEF executive team is led by GLOBAL founder, Damian Perl, who serves as Chairman. He is joined by GLOBAL colleagues Dale Davis as the GDEF CEO, and Gavin Long as SVP Corporate Development, a team with combined experience of close to 50 defense and technology M&A deals. Veteran senior officials from the US Government defense and intelligence communities bring further depth to the team in their role as Directors; the Hon. David Gompert, former Acting Director of National Intelligence, Dean Popps, former Principal Deputy Secretary of the Army for Acquisitions, Logistics and Technology, and Dr John Gannon, former Deputy Director of Intelligence, CIA. Global Strategies Group has a track record of building strong businesses addressing critical national security threats and generating high returns. 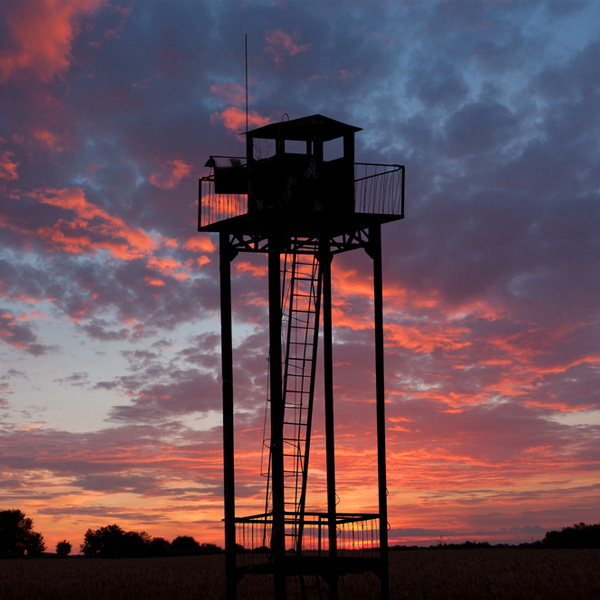 The company has grown and operated a worldwide defense services business since 1998. In 2007, GLOBAL acquired SFA Inc and The Analysis Corporation, technology businesses serving the US defense and intelligence community. 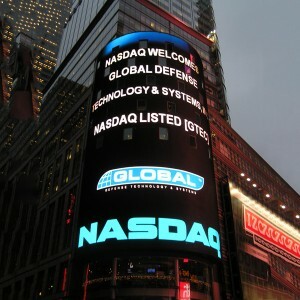 GLOBAL grew these businesses organically, achieving exponential growth rates, then combined them as Global Defense Technology and Systems, Inc (NASDAQ: GTEC) at IPO in November 2009. Two further acquisitions were made after IPO, Zytel Inc and Signature Solutions, both companies operating in cyber security, before GLOBAL agreed the sale of GTEC in 2011. The highly successful four year investment cycle generated exceptional returns for shareholders and for Global Strategies Group. GTEC sold for USD 315m, a substantial return on an initial GLOBAL investment of USD 89.4m. Since the extremely successful sale of GTEC in 2011, we have been watching and waiting for the right time to reinvest in order to build further capabilities in defence technology. It is a core competency of our Group and key to its overall ability to operate at the centre of national security for the US and its allies. In 2007 we acquired SFA Inc and The Analysis Corporation – which we rebranded Global Defense Technology and Systems at IPO in 2009 – and, using proceeds from the sale and the new public company status, were able to subsequently acquire Signature Systems and Zytel in 2010. Together, their technological capabilities were focussed on the asymmetric and cyber-related threats facing our government clients. In addition, they complemented our strong worldwide services business which mitigates more conventional state on state threats and protects critical infrastructure. GTEC was a great success story for our customers and investors alike. We worked hard to embed it in a number of important US national security programmes, and delivered a very significant return for the investors who stayed with us from the IPO. It also added to our already deep understanding of the threats faced, and the types of technology our customers continue to value. After GTEC was sold in early 2011, we decided not to launch straight back into further acquisitions, as we recognised some changing dynamics in the defence sector and wanted them to play out. Now, the sector has gained clarity on the new federal budget reality, has more insight on shifting defence spending priorities and, despite the increasingly complex threats faced by our clients, we see defence technology company valuations at correspondingly realistic levels. So pausing on re-investment was the right thing to have done, but we didn’t sit idle, continuing to focus on performance and organic growth in our services business. Now, ahead of a likely wave of industry consolidation, we believe strongly it is the right time for investment in areas of prioritised defence spending. For example we see increasing reliance on smart systems and advanced C4ISR technologies to enable intelligent decision making, provide greater operational precision, and serve as force multipliers. The new budget constraints also mean an increasing emphasis on modernising and updating existing military platforms rather than simply building anew. And, of course, there are the challenges of the Information Age, analysing and securing ever increasing amounts of data and the associated cyber threats, that need to be understood and overcome. Understanding industry dynamics is vital to being able to pinpoint good businesses with capabilities likely to be in demand for a long time to come. There are a lot of companies in the sector but the key is to find the ones working in the right areas and able to deliver long term value – both for customers and investors. Overall, that is what we have achieved as a business over fifteen years, and in particular with GTEC, and what we are now looking to do again, both in the US and internationally. It’s an exciting prospect, and the whole GLOBAL team are relishing the challenge. GLOBAL worked with a US government client to devise a technology-driven system that would help neutralise the threat of Improvised Explosive Devices (IED) across a range of complex operating environments. GLOBAL designed and integrated a software solution that provided significantly enhanced situational awareness and actionable intelligence, key constituents in preventing IED attacks. Key threat indicators were analysed which greatly improved the response times and accuracy in identifying networks and individuals posing specific threats. GLOBAL has designed and implemented a wide range of solutions enabling clients to direct effective counter-terror operations. Data analysis and data fusion, threat identification, situational awareness, targeting and specialist CT operational support are all areas of GLOBAL expertise, contributing significantly to the overall success of this critical system. Throughout its history, GLOBAL has been commissioned to train and mentor thousands of personnel in the mission-critical skills required to protect critical infrastructure and conduct effective intelligence, counter-narcotics and counter-terrorism operations. GLOBAL specialists have conducted training operations across the world, including high threat locations such as Liberia, Pakistan and Yemen as well as Afghanistan and Iraq. Strengthening Afghanistan’s capacity to counter its narcotics problems saw GLOBAL provide long term counter-narcotics police training and mentoring, including support to mobile detection teams across the country. GLOBAL played a critical role in developing and sustaining the capacity of Afghanistan and Iraq to develop a safe civil aviation infrastructure, including the training of hundreds of local staff to international aviation security standards. The company’s expertise in building the capacity of local teams to conduct effective security operations has had a lasting positive impact in many of the world’s most complex environments. GLOBAL was commissioned by a leading operator of critical infrastructure to design new command, control and surveillance systems to protect its people and key facilities. The GLOBAL team worked closely with the client to ensure a detailed understanding of their requirement before designing the technical solution. GLOBAL assumed overall responsibility for all aspects of system design, engineering, installation and commissioning, integrating state-of-the-art sensor technologies within the client’s existing security infrastructure. Training for key client personnel was provided throughout the programme, alongside a comprehensive support service once the new systems were successfully commissioned to ensure sustained systems performance and resilience in a complex and challenging environment. GLOBAL was tasked with designing and implementing an IT architecture to collect, collate, analyse and store information regarding international terrorist movement. 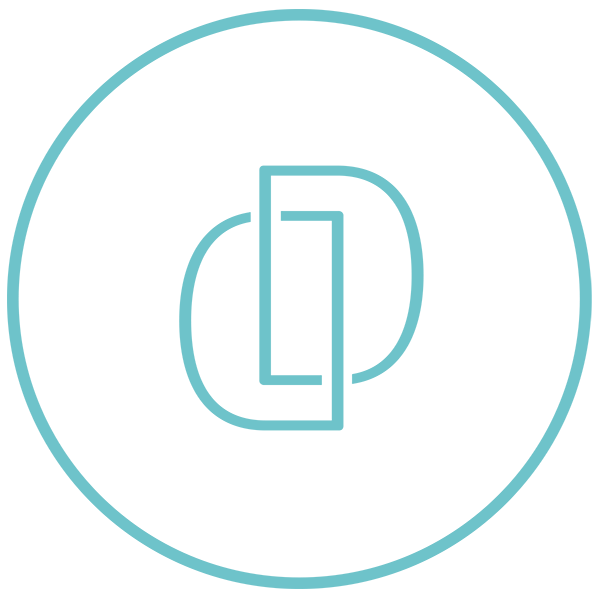 Providing specialist intelligence analysts, systems engineers, database designers and information security experts to create an integrated, customised solution that fused our industry leading technology with available software. 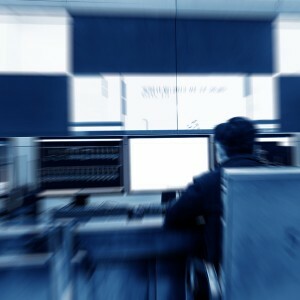 Designing an IT architecture that enabled the client to track the movements of potential and identified terrorists on an international scale. Incorporating a data analysis and information sharing centre, and an IT infrastructure across multiple agencies. The system and its information were deployed across multiple government departments, enabling our client’s widely distributed user network to access reliable information critical to preventing terrorist activity. WASHINGTON, D.C. – SFA, Inc., a leading US defence technology provider, and Global Strategies Group (‘GLOBAL’), a British-owned international provider of security and risk mitigation strategies, have joined forces in a business combination to establish a new and unique breed of integrated security company. The combined enterprise will be capable of projecting a broad suite of technologies and specialist services worldwide and will offer unique expertise and comprehensive solutions in support of governmental security priorities and, most immediately, support the international effort against terrorism. With projected current year sales of USD 350M, the combined entity provides operators, security and counter terrorism experts, analysts, IT specialists, engineers and scientists from its office locations worldwide. ‘We are delighted at the prospects afforded by this powerful combination’ noted Damian Perl, founder and CEO of Global Strategies Group ‘as it enhances our mutual ability to provide a unique and full range of systems and services in the fields of national security, critical infrastructure protection and counter-terrorism. Our company will be uniquely positioned to offer this tried and tested support to the US, UK and allied governments’. GLOBAL is already a significant supplier to the US Government, applying the expertise and insight of its leadership team to the specific needs of various agencies, departments and the military in diverse and often difficult environments around the world. Since its incorporation in 1998, GLOBAL has assisted national security initiatives the world-over, protecting critical infrastructure, assuring global commerce and facilitating business operations in extreme environments. GLOBAL now operates from over 20 offices worldwide including those in the United States, United Kingdom, Europe, Latin America, the Middle East, Africa and the Far East. SFA, Inc., with its subsidiary The Analysis Corporation (TAC), is a defence and security contractor with a significant technology pedigree. They have deep core competencies in counter-terrorism, C4ISR and information systems integration, applied research and development and specialised shelter integration. The resources of the combined enterprise will be focused to fuel an aggressive organic and external growth programme for SFA and TAC, designed to further enhance and bolster their leadership position and service offerings in national security. 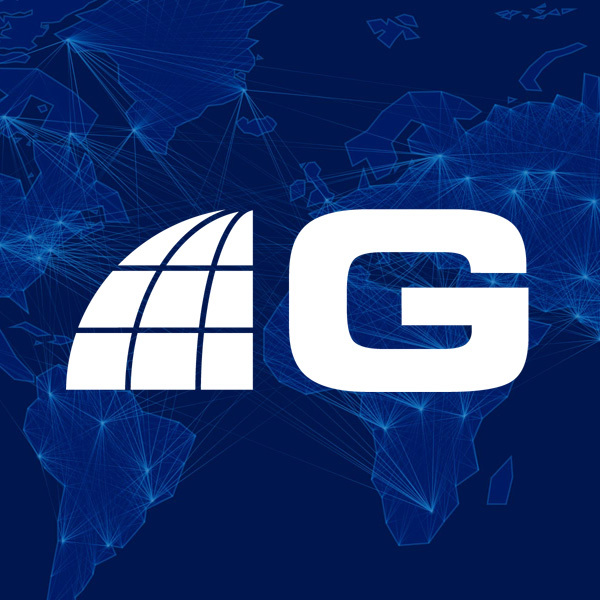 Further, GLOBAL’s international scale and reach, experience and expertise will represent unique channels for the application and deployment of SFA and TAC products and technologies. ‘Our alliance with GLOBAL provides the resources to continue our programme of rapid growth and development and provides unprecedented reach for our technologies and solutions’ noted SFA Chairman, President and CEO Jerry Robinson. ‘Joining forces with GLOBAL offers us the unique opportunity to apply and deploy our capabilities in an unprecedented scale’. SFA will operate as an independent subsidiary, retaining its name, management team, employees and infrastructure. SFA will also maintain its own US board of directors and operate within the appropriate national security guidelines. The Board will include SFA Chairman, President and CEO Jerry Robinson and Executive Vice President Dr William Moyer, as well as Global Strategies Group senior executives Ron Jones and Carl Rysdon. The SFA subsidiary, TAC, will continue to be led by its CEO, John Brennan. ‘SFA and TAC are on the front lines of safeguarding the national security interests of the United States and its allies, providing cutting edge technologies and tailored solutions that support US military and intelligence agencies. This core purpose of SFA and TAC will be focused and enhanced by the addition of GLOBAL’s security expertise, resources and world-wide reach’, noted Ron Jones, leader of GLOBAL’s US Strategic Development team, based in Washington, DC. ‘The combination allows both SFA and GLOBAL to do what they have always done for US and allied defence and security customers, but now, they each have the ability to offer a vast new array of defence and security technologies, capabilities and hands-on mission experience’. This announcement follows GLOBAL’s recent appointment of former senior State Department official and military officer Dr John Hillen as well as senior Honeywell executive Carl Rysdon, as senior executives of GLOBAL, further reflecting the GLOBAL focus on leadership and innovation in providing integrated national security and defence offerings. As a leading provider of aviation security systems and services, GLOBAL was commissioned to design and implement new security programmes across five international airports in Iraq and Afghanistan. Management of passenger and cargo screening, perimeter and airframe security. The results of our programme design and oversight led to significant increases in international air traffic across all locations, playing a major role in supporting economic trade and development. GLOBAL was responsible for designing and managing the hugely complex Iraq currency exchange programme during a period of intense conflict. 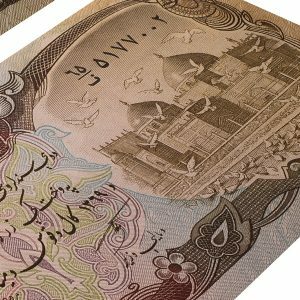 GLOBAL ensured the secure delivery of $4.5 billion worth of new banknotes to 250 locations throughout Iraq. Hubs were also set up in Baghdad, Basra and Mosul to both coordinate air operations and logistics and act as secure storage and distribution points as well as bases for over 200 vehicles and 7 aircraft. The success of the programme was dependent on the GLOBAL design concept incorporating continuous threat assessment, secure air and ground logistics, a robust communications system, and the advanced deployment of specialist personnel to conduct intelligence and reconnaissance operations. In 2002, the Afghan Interim Authority determined to replace the country’s multiple currencies with new Afghani notes. GLOBAL was tasked with the distribution and exchange of old and new notes to 14 separate cities across the country. Establishment of operational command and distribution teams in each location. Planning and conduct of secure distribution by ground and air, including fixed wing and rotary aircraft. Establishment of communications and intelligence networks. Local engagement with community stakeholders. Over the course of a four-month operation, around 100 cash deliveries were made between Kabul and teams in the 14 outlying cities. In spite of the severe winter conditions and challenging security situation, the project was completed without a single casualty or the loss of a single note. 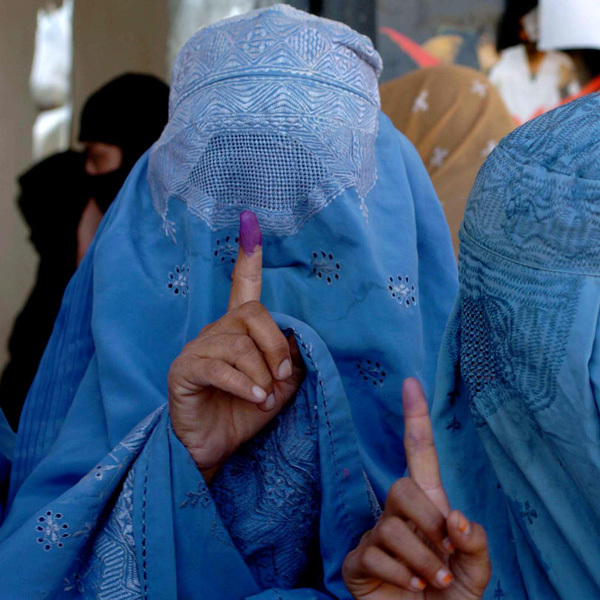 GLOBAL was commissioned by the UN to provide the national infrastructure and election monitoring services for the 2002 Loya Jirga process which led to the establishment of the Transitional Islamic State of Afghanistan. The GLOBAL monitors travelled throughout the country to establish polling stations and then secure and observe election procedures. 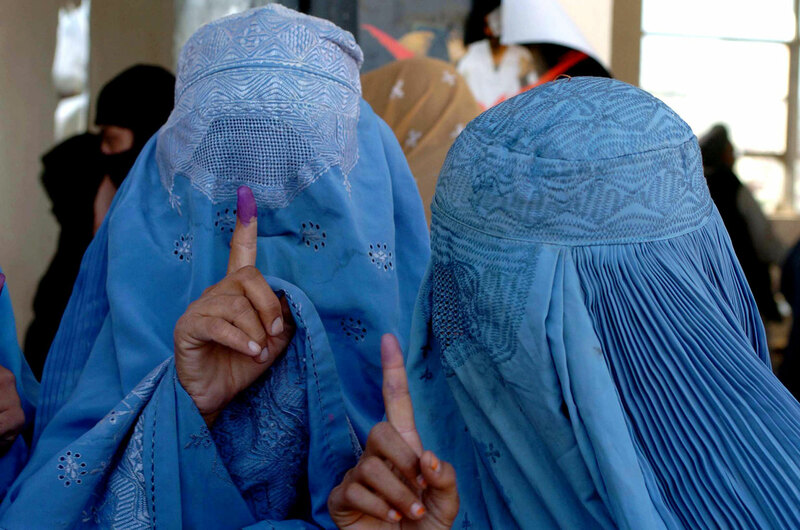 GLOBAL was subsequently tasked with designing and managing the nationwide logistical, security and census operation to enable the first open Afghan Presidential elections. GLOBAL mounted a complex nationwide operation involving the deployment of specialist personnel, aircraft, vehicles, communication systems, and information networks. GLOBAL expertise in the fields of security, complex logistics, intelligence, and infrastructure protection enabled the elections to be successfully completed. This task highlighted the exceptional performance levels of all GLOBAL personnel and served as testament to rigorous selection and training programmes. Since this success GLOBAL has been involved in supporting other UN monitored electoral programmes in Asia and Africa. GLOBAL was commissioned to undertake a 21-country political and operational risk assessment to determine the feasibility of laying high speed telecommunications infrastructure around Africa. GLOBAL conducted full operational assessments to determine risks and threats associated with logistics, communications, business continuity, civil unrest, crime, licensing and the security of deployed personnel. The work was integrated to form a comprehensively detailed and dynamic risk factor assessment on a country-by-country basis, informing client decision making on how best to undertake operational planning. GLOBAL was commissioned to strengthen the border protection capability in Mozambique, addressing major deficiencies in the country’s border control and the threat to its economy from smuggling. GLOBAL conducted comprehensive risk assessments, using the analysis to design a programme to realign the efforts and build the capacity of the national Customs Service and Border Police. We established training facilities and created tactical ‘Fast Team’ forces of mobile officers to interdict at border points most vulnerable to smuggling. Our approach laid the foundations for an effective border force to protect local markets and support economic regeneration. As a direct result, a major economic regeneration programme commenced with World Bank funding, leading to employment for over 10,000 local people. GLOBAL was entrusted with the task of providing the US Army Corps of Engineers with comprehensive security, operations and intelligence services under the Reconstruction Security Support Services Program (RSSS) across Afghanistan. Setting up two regional operations centres to provide round the clock intelligence and analysis, track convoys and disseminate threat warnings. Establishing a communications system that included nationwide voice and text communication, visual map-based satellite tracking software and hardware as well as website and IT network infrastructure. A wealth of operational experience and expertise in security systems design and integration was fundamental to the success of USACE’s reconstruction and development mission in Afghanistan. 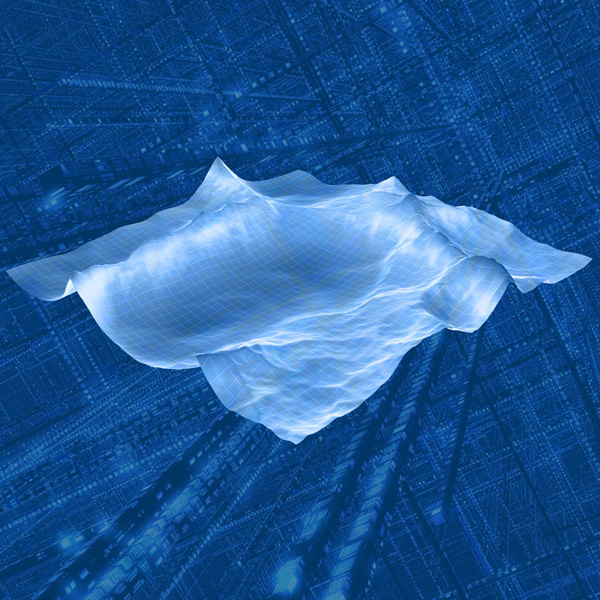 GLOBAL designed a leading-edge geospatial technology that monitored and fused data in to actionable intelligence for the US national security community. The GLOBAL solution brought together sensors, controls and information into an integrated physical security information management (PSIM) application, delivered through clear and simple to use data visualisation. This Service Oriented Architecture-based approach was applied across several operating contexts, delivering high quality intelligence and improved decision making across critical infrastructure protection and the maritime domain. The system was highly flexible and adaptable, with the ability to plug in to existing domains and provide operators with access to and control of sensors and information systems. Our solution enabled the client to share and interpret real time information and intelligence and make key decisions swiftly and more accurately than before. 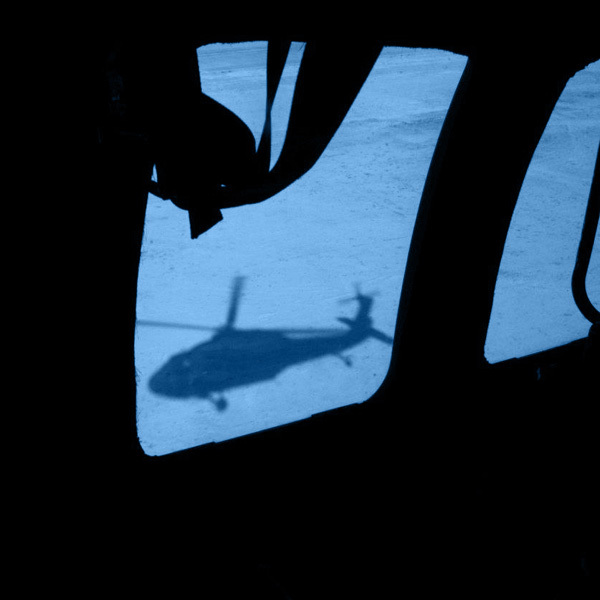 Using advanced information systems and engineering technology, we delivered mission superiority to our client in key military and counter terrorism operations. GLOBAL undertook the acquisition of a technology business and its transformation in to Global Defense Technology & Systems, Inc (GTEC), a specialist provider of mission-critical technology-based systems and services for US national security programs and agencies. The information you voluntarily provide us by direct email through this Site (which may include your name, company, address and contact details such as your telephone number, email address or fax number) will be used for the purposes of satisfying your requests, such as publications or further information about GLOBAL (as the case may be). If you have emailed us with an enquiry we will use your email address to respond to your query. We may also send you further information by way of updates through our periodic newsletters. If at any time you would prefer not to receive information of this nature from us, please inform us in writing. We may disclose your personal information to colleagues within GLOBAL who assist us in the execution of our work, such as fulfilling requests for information, receiving and sending communications, updating marketing lists, analysing data, providing support services or in other tasks from time to time. We will only use your information to the extent necessary to perform those functions. We may disclose personal information if required to do so by law, Court order or for the purposes of prevention of fraud or other crime or if we believe that such action is necessary to protect and defend the rights, property or personal safety of GLOBAL, its staff, the GLOBAL Site or its visitors. Information that you submit by email via the Site may be transferred to other offices within GLOBAL, located outside the European Economic Area (“EEA”). By way of example, this may happen if one or more of our servers are from time to time located in a country outside the EEA or one of our service providers is located in a country outside the EEA. If you make contact with GLOBAL via this Site your details may be transferred outside the EEA. If we transfer your information outside the EEA in this way, we will take steps to ensure that your privacy rights continue to be protected. For further details on the cookies set by Google Analytics, please refer to the Google Code website. Google Analytics cookies are not essential to the operation of this site. If you would like to opt-out you can install the Google Analytics Opt-out Browser Add-on.